Continuing the spy crossover series. I have previously covered the the Prisoner, the Man from UNCLE, the Avengers, and I Spy. 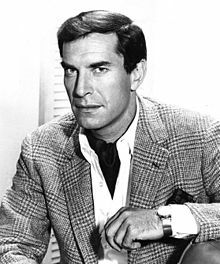 After this, I'll still have a few more classic spy shows to do, including Get Smart. December 1939--THE RUBY FILES VOL. 1--"Wounds"--A murder mystery that crosses WATCHMEN, STAR TREK, AND MISSION: IMPOSSIBLE with Rick Ruby. On the Watchmen crossovers: Police officer Hollis Mason is mentioned. He is also secretly Nite-Owl. The Gunga Diner and Rumrunner Bar appear, which are also from WATCHMEN. Finally, the parents of the future Rorschach appear. Watchmen can't be in the TVCU, but this story seems to imply that the "golden age" portions of Watchmen, prior to the debut of Doctor Manhattan, could appear. Using my theory that Kang created a major series of divergent super-hero timelines in 1945, that could be the divergence point that separates Watchmen from the main TVCU and places it in its own timeline. Having Watchmen share a pre-145 past with the main TVCU does help account for the occasional mentions or cameos of Watchmen characters that sometimes pop up in other stories that are in the TVCU. Perhaps, for instance, the main TVCU also had a Rorschach and other later Watchmen heroes, but they operated more in line with the TVCU concept for super-heroes. The Star Trek crossover involves the mention of Edith Keeler, whose death is described to match the death of Edith Keeler seen in Star Trek episode "The City on the Edge of Forever". IMF agent Barney Collier's father also appears in this story. 1966 to 1973--MISSION: IMPOSSIBLE--The Impossible Missions Force (IMF) is a secret government agency that sends teams with specific skills on missions we aren't meant to know about. Note there are so many occasions in the TVCU where messages end up self-destructing, or someone says some variation of "Your mission, if you choose to accept it...". Because of the Mission Improbable series that exists in the TVCU, thanks to the Hanso Organization, probably to make the public believe the IMF to be fictional, it's hard to tell if any of those are real crossovers or not. For instance, some instances of self-destructing messages could have come from the same methodology and technology used by the IMF, while others could have been inspired by the television series. Click here for a full list of connections, some of which are valid crossovers, some which aren't, and some that are questionable. mid-1960s to the early 1970s--Dell Comics published a Mission: Impossible comic book on a sporadic schedule that lasted from the mid-1960s to the early 1970s. Only five issues were published before the series was canceled. The first four issues were original publications; the fifth issue was a reprint of the first. OCTOBER 1966--MISSION: IMPOSSIBLE--"Old Man Out"--Click here for a theoretical link from Toby O'Brien connecting MISSION: IMPOSSIBLE to THE BOLD ONES - THE LAWYERS and THE MAN FROM UNCLE. 1967--Mission: Impossible by John Tiger--A number of original Mission: Impossible novels based upon the series were published Popular Library published the following between 1967 and 1969: Of the above, only the 1967 John Tiger novel featured the team as led by Dan Briggs; the rest all featured the Jim Phelps-era IMF. 1968--VIEW-MASTER--The GAF Corporation of Portland, Oregon/Paramount Films released a View-Master (21 stereo pictures in three round discs) with a 16-page story booklet: "Good morning Mr Phelps. The man you are looking at is Dr. Erich Rojak, the nuclear physicist who has been missing..."
1971--THE BAREFOOT EXECUTIVE--In this film, there is a series called Mission Improbable. Using this, we could presume that the later Mission Impossible films that are based on real events and released in part by the Hanso Organization may actually be Mission Improbable films. This might be a way out for the many other "zonks" of Mission Impossible within the TVCU. August 2 to 10, 1974--DOUBLE DANGER TALES--"Stateside Debut"--From 1991, a former vigilante known as the Voice recaps his origin. Crossovers include: SHERLOCK HOLMES, SECRET AGENT X, DR. SKULL, DAN FOWLER, RICHARD WONG, RICK BRANT, HAWAII FIVE-O, MAGNUM P.I., IRONSIDE, MISSION: IMPOSSIBLE, KING FARADAY, THE MAN FROM UNCLE, THE MAN FROM APE, BURKE'S LAW, I SPY, and THE INDEPENDENT OPERATORS (recurring characters in the works of ERWIN K. ROBERTS, author of this story). October 1983--JEFFERSONS--"Mission: Incredible"--George Jefferson enlists the aid of Barney Collier of the Impossible Missions Force (MISSION: IMPOSSIBLE). February 1987--THE LOVE BOAT--"Who Killed Maxwell Thorn?" --From Toby O'Brien in the TVCU Facebook Forum: This was a classic crossover episode in which there were quick cameo scenes of characters from other TV shows. None of them were fully named (if at all) but there were enough clues that they could be no other characters. 1] Dr. Stanley Riverside, 'Trapper John M.D.' 2] Margie Albright*, 'My Little Margie' 3] Jim Phelps**, 'Mission: Impossible' 4] Margaret & Betty Anderson, 'Father Knows Best' 5] Beaver, June, & Wally Cleaver, 'Leave It To Beaver' 6] Carol & Mike Brady, 'The Brady Bunch' * I was hoping Gale Storm was appearing as her character Susanna Pomeroy from her second sitcom, especially since Susanna worked on an ocean liner as well. But her mention of getting revenge on Mr. Honeywell means she has to be Margie Albright. ** Peter Graves was presented throughout the episode as Leonard Culver, husband of Irene Culver. (The IMDb listed their surname as "Pulver", but on several occasions you can hear them being addressed as "Culver".) Near the end he revealed that he used to work for the government and that if the Secretary ever found out about his misadventures on board the ship, he might have disavowed Culver's actions. My guess is that "Jim Phelps" was just his alias in espionage or "Leonard Culver" had been an alias he used to keep his family life private. Based on the storyline, he had to be "Leonard Culver" married to Irene, for all of that time he was working as "Jim Phelps". There were plenty of other celebrities during those two hours, many of whom were playing themselves. Others were playing crew members or in the case of Carol Channing, a relative of a crew member. Still others could have been playing one-shot characters from other sources, like Ruth Buzzi and Joanne Worley. One other interesting note - a high reliance on guest stars from Steve Allen's stable of players and from the cast of 'Laugh-In': Steve Allen & Jane Meadows, Louis Nye, Don Knotts, Tom Poston; and Ruth Buzzi, Arte Johnson, and Joanne Worley. 1988 to 1990--MISSION: IMPOSSIBLE--The missions continue with new team members. 1990 to 2000--BEVERLY HILLS 90210--This is the story of teens/20 somethings in Beverly Hills. Originally it revolved around Brendon and Brenda Walsh, having moved there from Minnesota, and their culture shock. Ironically, Toby O'Brien, who strongly dislikes the show, revealed to me why it's included. And it's because of Morley Cigarettes. Morley is a fictional brand that appears often in the TVCU (and acts as a connector). Besides Beverly Hills 90210, Morley Cigarettes are found in REAPER, BUFFY THE VAMPIRE SLAYER, COLD CASE, CRIMINAL MINDS, ER, JAKE 2.0, KILLER INSTINCT, THE L WORD, MALCOLM IN THE MIDDLE, MEDIUM, MILLENNIUM, MISSION: IMPOSSIBLE, NASH BRIDGES, NEW AMSTERDAM, PRISON BREAK, THE OUTER LIMITS (though only the stories that have the cigarettes are included), SPACE: ABOVE AND BEYOND, SPECIAL UNIT 2, SPY GAME, THAT 70S SHOW, THE TWILIGHT ZONE (same rule as OUTER LIMITS), BURN NOTICE, and THE X-FILES. 1992 to 2002--X-FILES--The exploits of Agents Mulder and Scully. They continue to seek out the truth behind the conspiracies regarding the paranormal. One of the leaders of the conspiracy is the Cigarette Smoking Man, whose brand of choice is Morley Cigarettes. Morley is a fictional brand that appears often in the TVCU (and acts as a connector). Besides Beverly Hills 90210, Morley Cigarettes are found in REAPER, BUFFY THE VAMPIRE SLAYER, COLD CASE, CRIMINAL MINDS, ER, JAKE 2.0, KILLER INSTINCT, THE L WORD, MALCOLM IN THE MIDDLE, MEDIUM, MILLENNIUM, MISSION: IMPOSSIBLE, NASH BRIDGES, NEW AMSTERDAM, PRISON BREAK, THE OUTER LIMITS (though only the stories that have the cigarettes are included), SPACE: ABOVE AND BEYOND, SPECIAL UNIT 2, SPY GAME, THAT 70S SHOW, THE TWILIGHT ZONE (same rule as OUTER LIMITS), and THE X-FILES. There were also novels and comics that are part of the canon. Here is the list of series which may have X-Morleys in them. 1994--PULP FICTION--In MISSION IMPOSSIBLE II, Ving Rhames is shown with a scar on the back of his neck. In Pulp Fiction, he had a band-aid there. In MISSION IMPOSSIBLE III, Ethan administers a shot of adrenaline (not a real-life procedure) to Lindsey's heart. 1996--Marvel Comics published a single-issue Mission: Impossible comic which served as a prequel to the 1996 feature film. 1996--MISSION: IMPOSSIBLE--Several years after the events of the series, Jim Phelps and his team, the Impossible Missions Force, are assigned to retrieve the IMF non-official cover list from the American embassy in Prague. 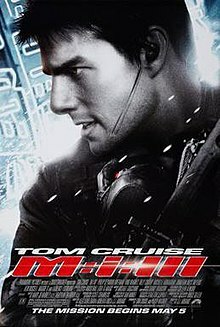 Their mission fails: Phelps is shot, his wife Claire seemingly dies in a car bombing, and the rest of the team except agent Ethan Hunt are eliminated by unknown assassins. Meeting with IMF director Eugene Kittridge, Hunt learns the job was a setup to lure out a mole within IMF. The mole is believed to be in contact with an arms dealer known as "Max" as part of "Job 314." As Hunt is the only member left, Kittridge suspects him of being the mole, and Hunt flees. Hunt recruits two disavowed IMF agents: computer expert Luther Stickell and pilot Franz Krieger. November - December 1996--CAPTAIN AMERICA # 1 and 2--Ethan Hunt infiltrates the World Party but is captured. Ethan Hunt is the main character of the Mission Impossible film series, which is a continuation of the television series. In Marvel Comics continuity, this takes place on Counter Earth, a world created by Franklin Richards. It takes place during a time when it appeared that several Marvel heroes were killed in the main Marvel Universe, and then rebooted in the Heroes Reborn imprint. This story reboots Captain America, having him returned to the world in 1996 rather than in 1964. 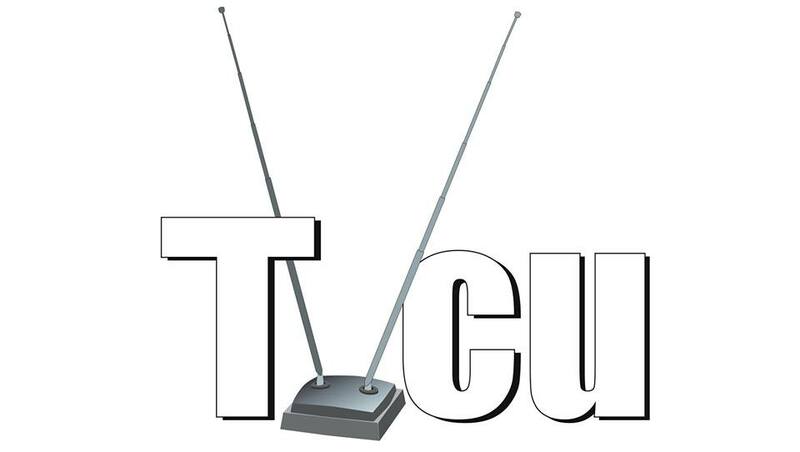 For TVCU purposes, whenever there is a crossover that links a Marvel story to a television or film series, that story can be included in the TVCU, but it doesn’t bring in the whole series. Because of that, we can assume this new origin story may be in, but not the whole Heroes Reborn saga. We can probably assume this is yet another replacement Cap, and one that has been brainwashed into thinking he is Steve Rogers. 1997--CONSPIRACY THEORY--There are reference in this film that refer to THE MAN FROM UNCLE, MISSION IMPOSSIBLE, and I LOVE LUCY as being real within the context of the film's reality. November 1997--DIAGNOSIS MURDER--"Discards"--Cinnamon Carter appears. Click here for Thomas Holbrook's take on this crossover. 2000--MISSION: IMPOSSIBLE II--Ethan Hunt is alerted by the IMF that someone has used his identity to assist bio-chemical expert Dr. Vladimir Nekhorvich to enter the United States, only to kill him in a subsequent plane crash. Nekhorvich, an old friend of Ethan, had forewarned the IMF of his arrival, planning to deliver to them a new bioweapon, Chimera, and its cure, Bellerophon. He was forced to develop these by Biocyte Pharmaceuticals. IMF determines that rogue IMF agent Sean Ambrose is responsible. IMF assigns Ethan to recover the virus and its cure. It also insists that he recruits Nyah Nordoff-Hall, a professional thief presently operating in Seville, Spain. Later, Ethan finds out that she is Ambrose's ex-girlfriend. November 2001--FAMILY GUY--"Emission Impossible"--Bertram returns in the later episode “Sibling Rivalry,” as well as in the Family Guy Video Game!. 2002--SPLINTER CELL--The computer mainframe in the C.I.A. building resembles the one featured in 1996'S MISSION IMPOSSIBLE. 2003--MISSION: IMPOSSIBLE - OPERATION SURMA--Ethan Hunt and the Impossible Mission Force (IMF) are brought into an investigation of a shady international corporation, known as SURMA, that is in possession of a highly advanced computer virus known as Ice Worm. It has the power to break through any type of security system and could lead to the theft of any data ranging from nuclear weapons specs to intelligence of any government. When their own operations are sabotaged, Ethan and the IMF team find out that their secure databases have been hacked and that their enemies are now in possession of some of their deepest, darkest secrets. The team must find this worm to protect global internet security. 2004--ALIAS--"CROSSINGS"/"FACADE"--Leonid Lisenker appears in these two episodes, and then reappears in Mission Impossible Ghost Protocol. Granted, he's played by Griffin Dunne in Alias and Ivan Shvedoff, but it's too much of a coincidence considering the Abrams connection. And it's not the first time the film series has recast characters from TV. April 2006--ALIAS--"There's Only One Sydney Bristow"--During his captivity Will had a small explosive device implanted in his head that can be triggered to detonate at any time. This was also done twice in the movie Mission Impossible III (2006), directed by Alias series creator J.J. Abrams. September 2006--TIME TRUMPET--"Episode # 1.6"--A fictional sequel to Mission Impossible that doesn't exist in the real world is mentioned, helping with the theory about how there could be a Mission Impossible series of films and television series in the same world where the IMF really exists. April 2012--THE RICKY GERVAIS SHOW--"Bryan's Brain"--Mission Impossible 7 is already out, while in the real world, at this point, only four films exist, which helps support the theory that allows for the films and tv series to coexist in the same world where the IMF is real. 2012--MISSION: IRREPARABLE--Based on Mission Impossible the television series created by Bruce Giller. Nagging indigestion, a dead scientist, attempted murders by an unstable individual, a captivating beauty, and a liquid which could lead to World War III... For most men that's enough to give up and go fishing, for Jim Phelps it might become a Mission: Irreparable. March 2014--FAMILY GUY--"Fresh Heir"--There is a Mission Impossible 5, even though at this point in the real world, there had only been four films. This helps support the theory that allows for the films and tv series to coexist in the same universe as the "real" IMF. 2014--MISSION: IMPOSTER--Jim Phelps so-called irreparable mission was a success in the eyes of those above him. However, with the loss of a fellow agent, and his branch Director Yomin, Phelps sees the glass as only half full. Yet he's given little time to mourn: the mission this time is more personal, and more dangerous, as the threat comes from inside. Phelps will have to rely on memories of the past, to solve the present events, if there is going be an I.M. Force in the future. 2014--'MISSION IMPOSSIBLE': CRUISE CONTROL--Ethan Hunt takes on Dr. Badguy. 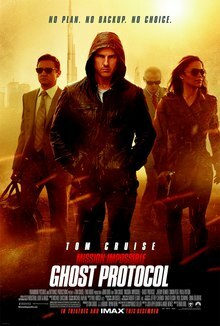 2015--MISSION: IMPOSSIBLE - ROGUE NATION--After intercepting nerve gas being sold to Chechen terrorists in Minsk, Belarus, Impossible Missions Force (IMF) agent Ethan Hunt is convinced he can prove the existence of the Syndicate, an international criminal consortium that the Central Intelligence Agency(CIA) does not believe exists. Also, for LOST fans, 108 figures in this film and this is an Abrams film. The near Future--M:I 6 - MISSION IMPOSSIBLE--Announced film in development with Tom Cruise as Ethan Hunt, Rebecca Ferguson as Ilsa Faust, and rumored, Jeremy Renner as William Brandt. Mad--A version of Mission Impossible exists here. Daniel "Dan" Briggs’s main role in the team was as its "captain"; he received the instructions from the 'Voice on Tape', and selected and coordinated the best people for the mission at hand. The team frequently consisted of Cinnamon Carter, Willy Armitage, Barney Collier and Rollin Hand, although Briggs did not always use all of these team members and often also used other agents. He would brief the team, then if needed, hand out extra disguises or devices. Though Briggs played a significant role in many of the first season missions, he was not an active participant in 7 of the 27 missions he co-ordinated -- after the mission briefings for these particular 7 missions, Briggs did not join the team in the actual execution of the plan, evidently confident that his hand-picked team would succeed without his direct involvement. Briggs was depicted at times as a cold, calculating character, quite willing to kill in order to complete a mission. Notably, he was the only member of the IMF shown personally killing a non-target in anything other than self-defense, when he ambushed and killed a sentry to get through a checkpoint in "The Carriers." At other times, he exhibited a father-like attitude towards his agents, and was frequently seen smiling encouragement and patting shoulders as missions progressed. Several episodes, such as "Shock," revealed that Briggs had acting, voice mimicry and disguise abilities similar to those of one of his agents, Rollin Hand. At the start of the second season, James Phelps took over as lead of the IMF Team and no on-air explanation was offered for Briggs's disappearance. Dr. Daniel David Briggs, Ph.D.; was the Director of the IMF, and the team captain of the mission team called "The Director's Own," for at least one year. He had been a lieutenant colonel in the United States Army, presumably at the time of the Korean War, and was a well-paid behavioral analyst outside his government service. It is commonly believed that he and James Phelps were two of the founders of the IMF. While Briggs had his choice of many different agents for his missions, he usually picked a specific group consisting of actor and theater-arts teacher Rollin Hand, fashion model and actress Cinnamon Carter, electronics company president and electronic engineer Barnard "Barney" Collier, and bodybuilder, heavy laborer and mechanical engineer William "Willy" Armitage. It was this team, the IMF's all-time most successful(especially after James Phelps became IMF Director), that pioneered the employment of grand-scale confidence games as the IMF's chief method of accomplishing missions. Jonathan "Jack" Donahue Bristow was the father of Sydney Bristow and a fellow double agent for the CIA at SD-6. He assisted his daughter in bringing down the criminal organization and assisted the CIA at their base of operations in Los Angeles thereafter. He was recruited to APO, a black ops division of the CIA, by former superior at SD-6 Arvin Sloane, who ultimately betrayed the U.S. government in pursuit of the findings of Milo Rambaldi. Jack was left in charge of APO after this. In a final effort to stop Sloane, Jack sacrificed his own life to trap an immortalized Sloane in a cave for the rest of eternity. Training/Special Skills: Physics, Aeronautics, Engineering, Game Theory, Cryptology, Linguistics. Jack Bristow, a longtime agent of the CIA and former double officer with SD-6, is often emotionally distant and can be among the show's coldest and most brutal characters. However, his character's defining trait is his devotion to the safety of his daughter, Sydney. He is highly protective of her and is willing to do anything - torture, kill, even betray his country - to ensure her well-being. His relationship with his daughter has always been problematic, although it warmed and matured as the show unfolded. According to background information provided in the official Alias magazine, Jack Bristow is originally from Canada (reflecting the fact that actor Victor Garber is Canadian). A screenshot in a fourth season episode showed a laptop referring to his birth in London, Ontario. Jack's grandchild Isabelle was also born in Canada, on a mission in Vancouver. Prior to the events of the series, Jack fathered Sydney with Irina Derevko, a long-term KGB spy who married Jack to get close to the CIA, specifically to steal the details of Project Christmas, which Jack was developing for the Agency. She took the name Laura Bristow and built a cover as an English literature professor. Once the FBI started to investigate against Irina, she faked her death in a staged car accident. Jack, suspected of being complicit in Irina's espionage, was detained and placed in solitary confinement. He named Arvin and Emily Sloane as Sydney's temporary guardians. Jack and Arvin became friends after they got to know each other in the early seventies, when both started their careers at the CIA. When Jack was finally cleared, he began drinking heavily and became more of an absentee father, leaving Sydney to be raised by nannies. About ten years later, Jack was recruited into SD-6 by Sloane when the Alliance of Twelve was founded, and was one of the few agents who knew the truth behind the cell. He was also Director of Operations at SD-6, and many in the Alliance believed he was a logical choice to take Sloane's place. When Sydney was in college, Arvin Sloane had her recruited into SD-6 without Jack's knowledge. Jack reacted negatively to Sydney's telling him that she had gotten a job at Credit Dauphine, the front company for SD-6. However, Jack's reaction made Sydney more determined to be a part of the "CIA." Jack later revealed to Sydney that he had recognized her potential, but wanted to keep her away from this life, away from making the choices that he had to and eventually she had to as an agent. Sydney's recruitment into SD-6 also caused Jack's Friendship with Sloane to end, although, because of the clandestine character of Jack's work as a double-agent at SD-6, he couldn't reveal that to Sloane until years after. Several years later when Sydney herself becomes a double agent for the real CIA, she discovers that her father has long been in the same position and they learn to work together to bring down SD-6. Jack often used his position as Sloane's chief of operations to structure missions to the CIA's advantage. When Irina Derevko makes her reappearance in Season 2, Jack must also deal with his unresolved feelings of love and bitterness towards her while continuing to perform his job at SD-6 and the CIA. With SD-6's destruction, Jack found himself finally able to grow closer to his daughter. Sydney learns in season 2 that Jack subjected her to Project Christmas, a project that trained and hardwired potential spies. Sydney initially believed that this programming had taken away her choices in life, but in Season 3 discovers that it had, in fact, protected her autonomy and made her immune to brainwashing by the Covenant. During Sydney's two year disappearance between Seasons 2 and 3, Jack was again taken into custody, held in solitary confinement for a year because of his working with unsanctioned sources (including Irina) to learn the truth behind Sydney's apparent death. During Season 3, Jack acts as a far more supportive father figure to Sydney, in response to her depression and emotional isolation during that season. At the start of Season 4, Sydney learns that Jack killed Irina. Even though he did it because Irina had hired a hit man to kill Sydney, his action causes yet another rift to form between Jack and his daughter, a rift aggravated when both agents are recruited by Sloane into the new CIA black ops agency, Authorized Personnel Only (APO). By the second half of the season, this rift has begun to heal. Jack Bristow contracts radiation poisoning during the events of the fourth season episode "Nightingale" when he entered a radioactive area in order to save Sydney's life during a mission. 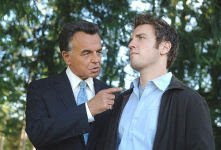 He initially keeps his condition a secret from his APO colleagues except for Marshall (who figures it out and confronts Jack, although Marshall later revealed it to Sydney). Bristow is seen consulting with a doctor who tells him the condition is terminal. Not accepting this prognosis, Jack begins a painful regimen of blood filtering treatments in order to delay the inevitable, and appeared to be experiencing memory loss related to medication; he is also puzzled by the appearance of a mysterious implant in his hand, which his doctor said was designed to regulate the anti-radiation medication. Jack's doctor and indeed his entire treatment regimen turn out to be hallucinations, and that Jack, his mind affected by the radiation, had been injecting himself with a poison. Further investigation by APO reveals that the hallucinated doctor actually exists. He was a scientist who had developed an experimental treatment for radiation sickness. In the early 1980s, Jack had helped the man escape to Scandinavia. Sydney impersonates Irina to get Jack to reveal the doctor's whereabouts; the man is located and begins a genuine treatment regimen for Jack. During the impersonation, Sydney learned that her father had planned to leave the CIA in order to be a better parent to her and would have done so if her mother had not been revealed as a KGB agent. This did much to assuage Sydney's longstanding concerns about her importance in her father's life. Jack learns near the end of the fourth season that he had not in fact killed Irina, but had shot a genetically engineered impostor. He subsequently reunited with Irina, who chastised him for being so quick to rush to judgment about her, yet also said that she understood why he had acted to protect Sydney. Following Irina's help in foiling the end game of her sister Elena, Jack decides to let Irina go rather than return her to federal prison. Husband and wife parted with a kiss. In Season 5, Sydney is expecting her first child. In the absence of Michael Vaughn, the child's father, Jack attends doctor's visits with Sydney and helps her to assemble a crib for his grandchild's nursery. However, he is distracted by the presence of Arvin Sloane within APO, a presence he (as the new director of the black ops unit) has authorized; Sloane's behavior appears dishonest, and although Sloane has admitted some of his lies, Jack remains on his guard. Jack becomes a grandfather when Irina and he assist Sydney in delivering her daughter, Isabelle. In the final episode, Jack, Vaughn (recently returned from hiding) and Sydney mount an assault on Rambaldi's tomb in Mongolia where Sloane is in the process of activating The Horizon. Jack and Vaughn are captured by Sark, and when Sydney refuses to surrender The Horizon, Sloane shoots Jack. In retaliation, Sydney shoots Sloane, apparently to death. Critically wounded, Jack is taken outside and insists that Sydney leave him and go to Hong Kong in order to stop the final player in Rambaldi's endgame - Irina - and his daughter reluctantly obeys. Later, he somehow obtains a belt of explosives and struggles back into the tomb, where Sloane, who has apparently become immortal, has been revived. Telling Sloane, "You beat death, Arvin. But you couldn't beat me," Jack detonates the explosives, killing himself, sealing the tomb and burying Sloane alive. Tom Cruise Latest Movie has a new movie hitting theaters this week, but the actor has never been one to simply enjoy his success. He's got several other movies already planned for the next few years. We're always up for a good Tom Cruise movie, and honestly, most of these look like they could be pretty damn good.